The size is 15.8 x 13 inches (33 x 40cm large size). Don't place on open fire directly! 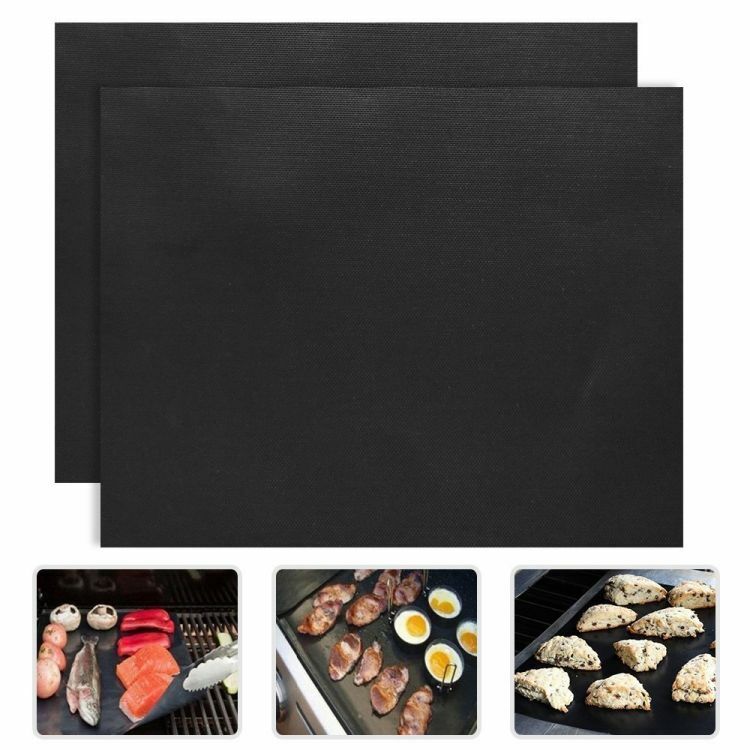 DOUBLE SIZED BBQ GRILL MAT - Covers more of your grill not just a small part of it. Cut to Fit any size BBQ grill also use them for baking on smaller BBQ grills like George Foreman's. TESTED TO 650 DEGREES PEAK TEMPERATURE. Can withstand direct Flames from flare ups - Your food will cook and will come complete with Grill Marks but won't fall through the grates.